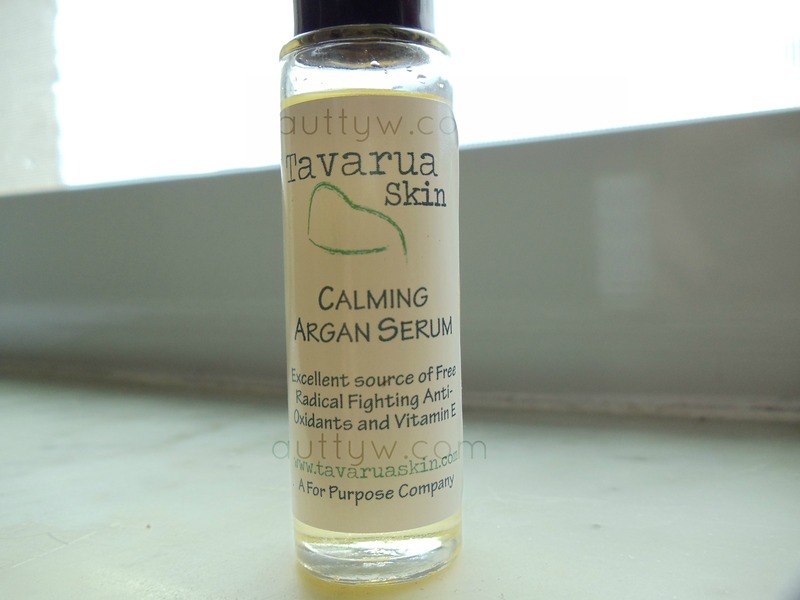 I am here with another Tavarua skin product review! I've been testing this out for quite a while, a few months actually, I wanted to give you an accurate review. 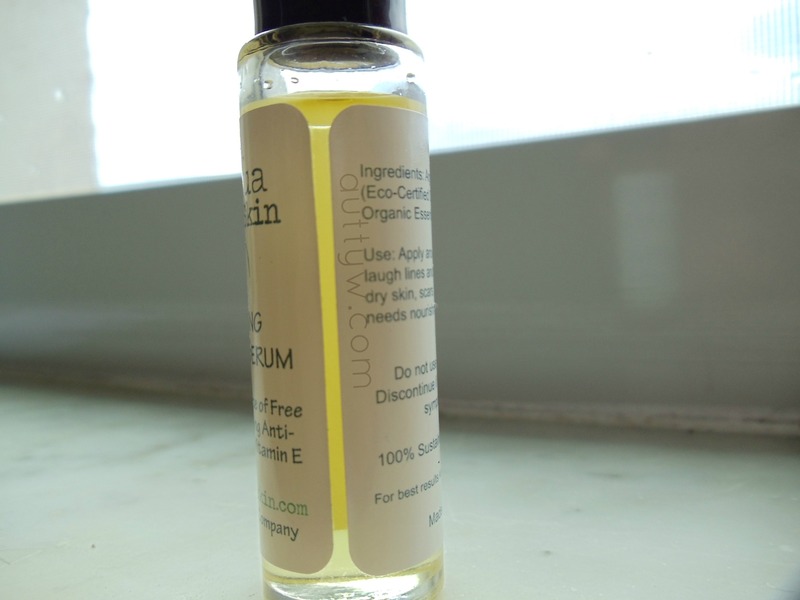 The Calming Argan Serum retails for $18 and is a pretty big size! I'm not sure how much in ounces it is because it does not state it on the website or on the bottle itself. This product is made in the USA, is 100% sustainable and cruelty free. I love the simplicity of the glass container that it is in. It has just the right amount of information and the logo and name is just the right size. I love that there is also a space down the side where you can see how much you have left! That is always a plus in my book! I hate when you run out of product and you didn't even know you were low on it! Anyways, this application method is by roller ball. I really do like that, it gives a nice cooling effect when you apply it to the skin. You do however need to be careful to make sure that it stays standing up or it may potentially leak, I learned this from experience. Its not a problem though, barely any leaks out but it gets caught on the side of the roller ball, the cap goes on tightly enough that it doesn't get everywhere. This does take a bit of time to sink into the skin, which is okay because I know that it is working. I mostly apply this to a scar that I have from when I was washing dishes and the glass broke. (long story, don't ask) I find that it is very nourishing to the scar, it doesn't feel as tight or dry when I use this, which I am really loving. The one thing I am absolutely loving about this product is the fact that it FADED part of the scar! I was amazed when I noticed that a good portion of my scar was faded. A little of this goes a LOOOOONG way, no lie. I've applied this to my scar, cuticles, and my lips. On the back of the label it says you can apply this around your eyes, lips, on your laugh lines, and wrinkles, extreme dry skin, scars or anywhere your skin needs that extra nourishment. Although it did feel a bit funky on my lips (its a me thing), I really felt that my lips got that extra nourishment they needed from being dry and neglected for a couple of days. It says to keep in a cool and dark place for the best results. All I have to say is oops. I've not kept it in the darkest of places. Its been out of sunlight but its not been in a dark place, as for a cool place. I live in Florida and its never really cool here, even in the Winter and we don't like to keep the air on because it shoots the electric bill up. I've not noticed and different results because of it, I think that it still works pretty amazingly. 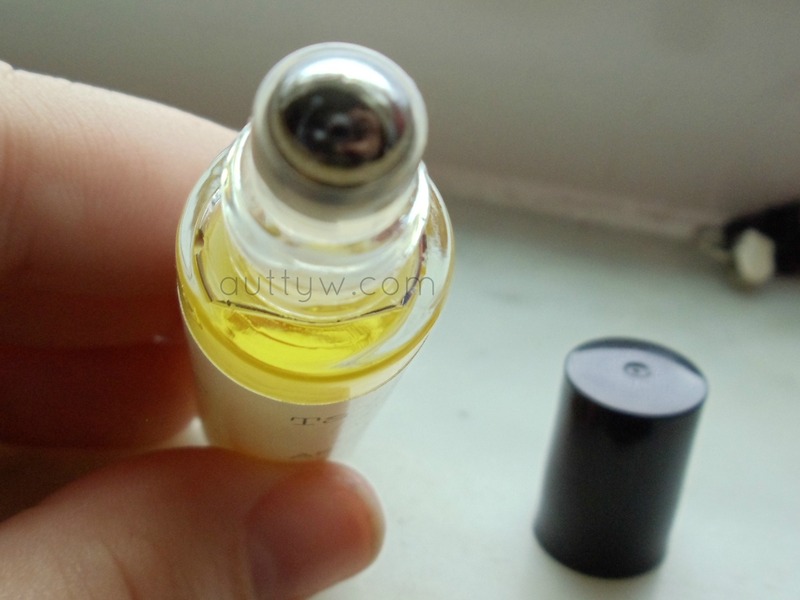 A delightful Argan Oil Serum with a hint of Japanese Yuzu Essential Oil. 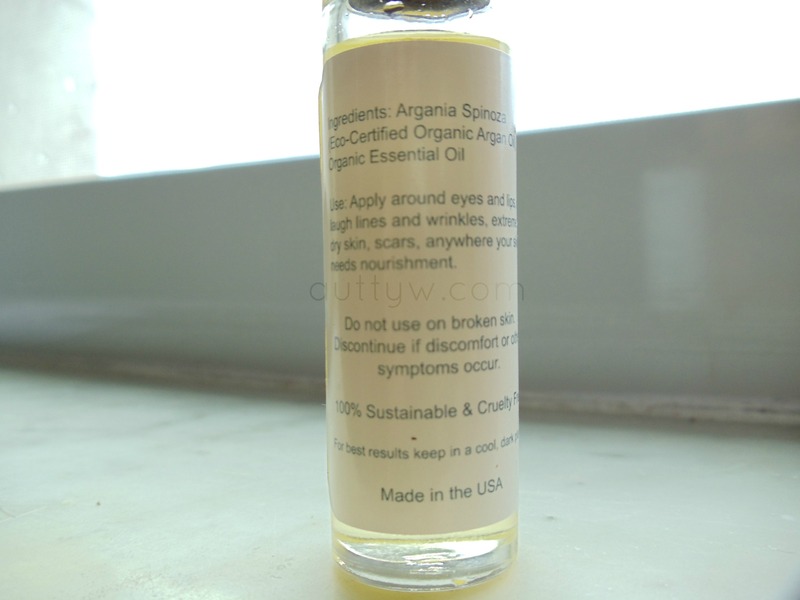 We use only Eco-Certified Organic Argan Oil, direct from a women's cooperative in Morocco. This Argan Oil blend has Japanese Yuzu, which is known for its calming properties. Argan Oil on its own is extremely nourishing, with more Vitamin E than almost any other oil. Combined with the Yuzu it is an extremely calming and nourishing application for stressed, tired skin. Use to nourish the sensitive eye area, around lips, and after sun exposure. Apply to temples to enjoy the calming nature of the Japanese Yuzu. Roll over areas to be treated as many times a day as you like. Absorbs quickly with no greasy residue. Don't forget to check out Stephanie's personal Twitter as well! Disclaimer : This product was sent to me by the lovely Stephanie from Tavarua skin. I am not being sponsored or paid to do this review. Getting products for free will NEVER change how I feel about it. I ill tell you straight up if I liked it or not. All opinions are 100% my own and no one elses.